Since schools have started or are starting this week and next, Summer Reading at the Library is finished. However, there are always a lot of things going on at our Wayne, Pike, and Eagle branches that are near us. 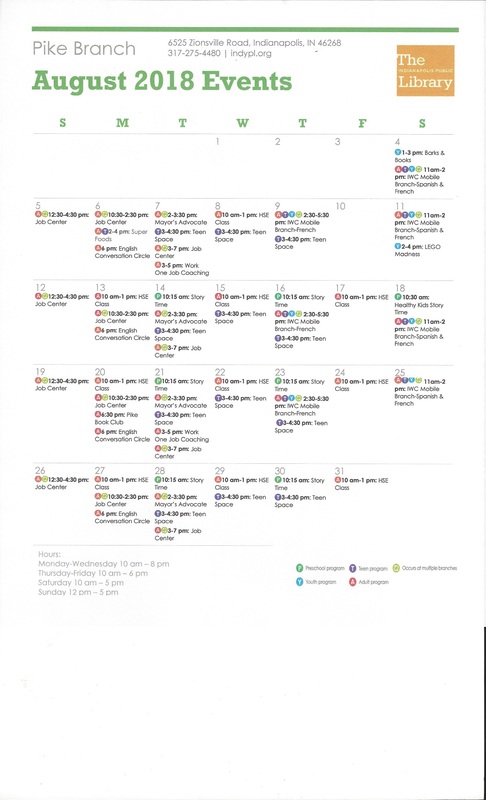 During the day are programs for pre-schoolers and adults, and after school and on weekends are programs for the school age children and youth. 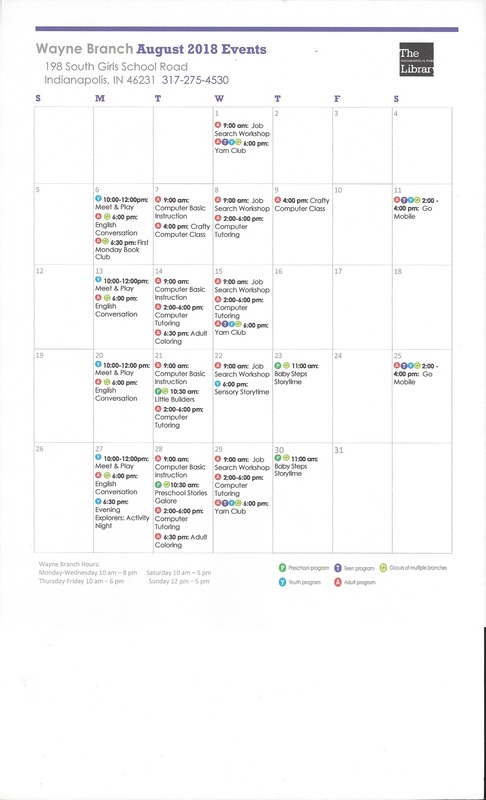 Check out the calendars to see what interest you at one of our Indianapolis Public Libraries in our area. 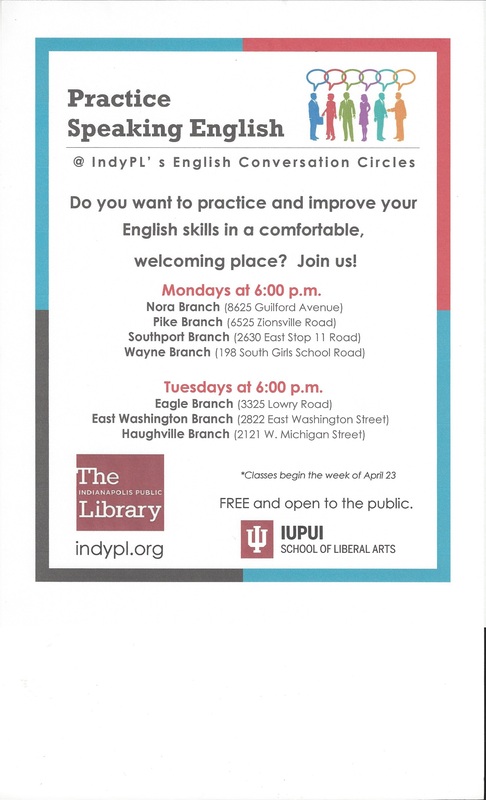 If you know of anyone who wants to practice their conversational English, there is a great program at the libraries for that. English Conversation Circles provides the opportunity for those who are new to the English language to practice conversational skills in a relaxed, informal setting. All three of our libraries have this program – Pike and Wayne on Mondays at 6:00 p.m. and Eagle on Tuesdays at 6:00 p.m. through the end of October. The attached flyer tells more about this ongoing program that started in April. This is an excellent program for those who are new English Language Learners and very beneficial for them. The libraries also have the flyer in quite a few different languages. Please feel free to share this information with others who would be interested, and if you need the flyer in another language contact the library closest to you (their phone numbers are on the calendars) and they can get that to you. Hope you will visit one of our Indianapolis Public Libraries soon.